Invigorating blues, that will become essential for the soul. The current cluster of £5 vintage shop dressed, so and so’s, who largely try to follow what everyone else is doing, while remaining synonymous to the anti-conforming roles of current ‘indie’ music, have become slightly yawn inducing to, well everyone, especially Palace. The blue’s band’s breakthrough, hasn’t been expected at all though. While we remained trapped under the cloud of twenty year olds, who don’t know how to properly use lo-fi, or shoegaze elements; Palace looked back at the golden era of late blues and early rock music, taking the catchy rhythms and essential sing alongs, transmuting these elements across to the current formation of indie rock, and said, this is what the world needs. The laziness of reverb, upon reverb (upon reverb) has been diminished under Palace’s guise, creating something that finally resembles a form of creativity, a piece of art (even the artwork for Lost In The Night has had due care and attention), that a variant audience can appreciate and express emotion over. 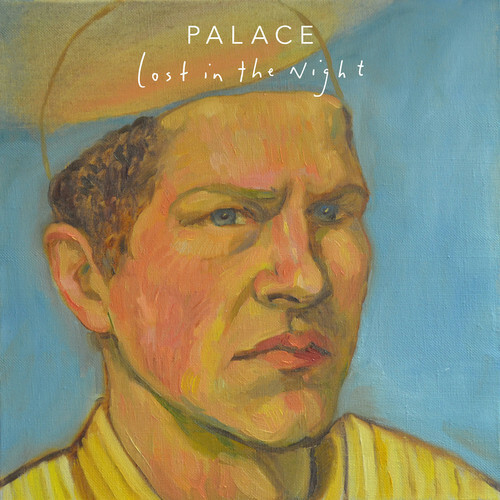 We didn’t know we needed it, and it seems as if Palace have been anticipating the regularity of 21st century indie music, becoming a struggle to distinguish between any two bands, when they released the first single from Lost In The Night back in June/July with its startling distinction from the norm. The lead single Veins (yes, not Bitter) has therefore become the primal example of the London based band’s creativity (in my eyes anyway). It’s purely a blues track, taken from the 20th century, into the 21st. The steady opening rhythms, effortlessly smooth vocals and steady drum beats, all beckon to the call of 60’s blues rock. When the focus shifts from distinguishable chords to modern, high volume solos though, the essence of Palace can truly be felt, no signs of ‘that will do’. Equally on Ocean Deep, blues is the basis for the tracks style and journey. Deep blues influences become more apparent, as Ocean Deep celebrates being the EP’s slow track, with slower rhythms and softer vocals in comparison to Veins. But just as Veins has an eruption in volume with the guitar solo at the tracks end, Ocean Deep also reveals its 21st century, rock self. With an attack on the regularity of casual listening, when startling guitar bust ups break the comfortably sombre tone, the chilled out crooners of indie megadom will have to arise and take notes. The recognition for Palace however, has come from the fastest paced track on the EP, Bitter. Whether it’s the relatively fast motion, or the easy accessibility for anyone to start dancing or singing to, picked up beats and rhythms will always remain leaders on LPs and EPs and Palace, recognise this greatly. While most would gather their collective, more settled verses to lead towards a pleasing, high velocity chorus, Palace’s structure in contrast, is completely twisted under the influence of late blues rock and early rock and roll influences, as well as their own intellectually diverse thought process.The verses become quicker and more emphatic than the previous, as the choruses simmer for the final blow in the tracks closing performance, with mangled guitar tones, collaborating for a captivating performance, that would feel at home on the festival circuits biggest stages. Similarly on I Want What You Got, the familiarity of blues rock guitar twangs, are heart warming to behold and the 21st century input, leaves a crisp affirmation of how to write music that blends with its influences, rather than becoming subdued. As the nostalgic vibes breakthrough the harsh exterior of the human body, you’re only left with joy, and the thought that you have to start dancing to the indisputable rhythm of blues rock immediately (not full on mind). While still some way off from the dizzying heights of number one LPs and singles, Palace’s interpretation of indie rock as a style of blues music, immediately comes across as bold and risqué when in comparison to the current crop of indie pop, psych/shoegaze/lo-fi influenced bores. The only influence, that new bands need to strive for, is not being culturally complacent, and therefore producing something that can be aspired towards, rather than shunned and scoffed at. Thankfully, Lost In The Night assured Palace, that this risqué performance will be something for future bands to aspire towards, as an admirable new force for 21st century music. Producing music which creates a range of emotions, rather than fighting for social acceptance, has been something that appears to have been lost on so many occasions, this year alone, but Palace have reincarnated the lost art to its former glory. Next Where the F$@k have I been?